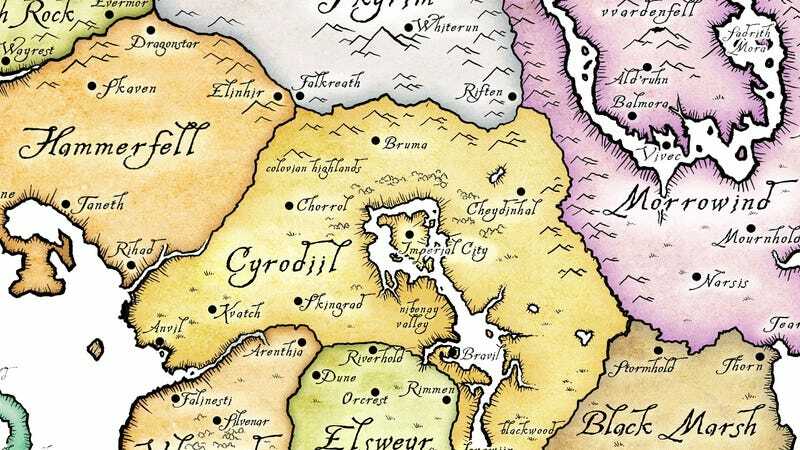 Wait, What The Heck Are The Elder Scrolls? With all the hullabaloo that's broken out over The Elder Scrolls creator Bethesda's legal threats against Minecraft creator Marcus Persson regarding the title of his upcoming game Scrolls, it's easy to overlook the fact that it's not entirely clear what The Elder Scrolls themselves really are. I'm not talking about the fact that we don't generally use the words "The Elder Scrolls" when we talk about Morrowind or Skyrim; this is more of a lore question: In the world of The Elder Scrolls, what are The Elder Scrolls? Surely they must be old, and we can assume that, being scrolls, they have some writing on them. But beyond those facts, I had to admit that I wasn't really sure. From whence did they come? By whom were they written? Do they grant magical powers? These seem like fairly fundamental questions. After a little digging, I found that the Elder Scrolls aren't really in the games themselves so much—they act more as an abstract framing device, prophetic pieces of parchment that foretell the adventures contained within each of the Elder Scrolls Games. So. The Elder Scrolls are kind of like a fantasy version of the rolling yellow letters at the start of a Star Wars movie. Or, if you prefer, they're like the fictional book "The Princess Bride" that exists within The Princess Bride. Glad we got that cleared up.